I reserved my room for the 21st and 22nd. If Chad changes it, he is getting his old saggy balls kicked. Never a fee, show up, ride, be social, and have a good time. Great news.. Cant wait to meet some of the names. 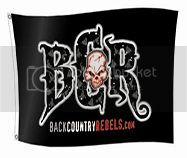 If money is tight for some of the BCR members. I have room at the cabin for a few riders.